Draft: 2008, Texas Rangers, 25th rd. Last name is pronounced RO-arc...over the past 3 seasons, is 1 of only 12 Major League pitchers to accumulate at least 93 starts and 1 of only 6 pitchers with at least 571.2 innings pitched...in each of the last 3 seasons and in 4 of the last 5 seasons (2014, 2016-2018), made at least 30 starts while throwing at least 180.1 innings...in 2016 finished 10th in the National League Cy Young Award voting...pitched for Team USA during its run to the 2017 World Baseball Classic gold medal...started the tournament semifinal 2-1 victory vs Japan at Dodger Stadium, allowed just 2 hits in 4.0 shutout innings...was Eastern League Pitcher of the Week for 7/26-8/1, 2011 and International League Pitcher of the Week for 7/24-7/30, 2012...has made 3 career Postseason apps, all for the Nationals in the 2014 and 2016 Division Series and including 1 start (0-1, 3.86, 7ip, 10h, 3er, 3bb, 4k, 2hr). Led Wilmington High School to Illinois state baseball championships in 2003 and 2005 and was first team All-State from 2003-2005...at WHS also played basketball and football and as a junior in 2004 he was an All-State quarterback...majored in sports management at the University of Illinois, where in 2007 he was a second team All-Big 10 selection...in his 2 seasons at Illinois went 12-2, 4.72 ERA in 22 starts and 2 relief apps...in the spring of 2008, before he was drafted by the Rangers, pitched in 3 games for the Southern Illinois Miners of the independent Frontier League...does not have an active Twitter account. Among National League pitching leaders ranked T5th in GIDP induced (18), seventh in starts of at least 7.0 innings (11) and 12th in quality starts (17)...beginning 7/25 through the end of the season produced a strikeouts-to-walks ratio of 6.86, fifth-best in the NL...from 8/16-9/16 did not issue a walk in 27.2 innings over 7 starts...from 7/13-7/31 threw 17.0 scoreless innings, the second-longest streak by a Nationals pitcher in 2018...in his first 10 starts of the season posted a 3.17 ERA and 1.98 opponents' batting average, but Nationals batters produced just 25 runs of support...in his 11 starts after the All-Star break went 6-3, 3.43. Was one of the top pitchers in the National League in the season's second half... In 12 starts post-All-Star break, he went 7-5 with a 3.90 ERA in 14 games (13 starts)...He struck out 86 batters in 80.2 IP and held opposing batters to a .223 AVG...After the break, he ranked among NL pitchers (min. 13 GS) in opp. AVG (6th, .223), opp. OBP (7th, .292), hits per 9.0 IP (6th, 7.59), strikeouts per 9.0 IP (9th, 9.60)...He recorded 42 strikeouts against just eight walks in his last six starts...His 10.51 strikeouts per 9.0 IP ranked sixth and his 5.25 SO/ BB ranked ninth in the National League from Aug. 27 through the end of the season...Improved from 7.4 strikeouts per 9.0 IP in 2016 to 8.2 strikeouts per 9.0 IP in 2017...Went 6-6 with a 5.27 ERA in 18 games (17 starts) prior to the All-Star break...Threw a season-high 7.2 IP on June 5 at OAK. (7.2 IP, 5 H, 4 ER, BB, 4 SO)...Recorded two 10+ strikeout games (11, 7/22 at ARI and 10, 9/1 at MIL) after entering the season with just two for his career. In his return to the starting rotation, Roark set career marks in innings pitched (210.0) and wins (16) in 2016...Ranked in the National League in wins (T5th, 16), HR/9.0 IP (6th, 0.73), H/9.0 IP (9th, 7.41), and ERA (6th, 2.83)...Threw 7.0 or more shutout innings nine times, the most MLB...CHI RHP Jake Arrieta was second with eight...Roark started seven of Washington's 12 shutouts...Per FanGraphs.com, he had the lowest hard-hit rate (24.3%) in Major League Baseball...He tossed 7.0 (or more) innings 18 times, third-most in the NL...Teammate RHP Max Scherzer ranked first with 20 and SFG RHP Jhonny Cueto was second with 19....Along with Scherzer, the two combined to throw at least 7.0 innings in 38 starts, and they also combined to pitch at least 7.0 innings while allowing two runs or fewer 33 times...Of the 22 pitchers who put together at least 10 outings of 7.0 (or more) innings with two runs allowed (or fewer), no team had a pair who compiled more such starts...Outpaced career marks in SO/9.0 (7.37 in 2016; 6.59 career), H/9.0 (7.41 in 2016; 7.97 career) & swing-and-miss % (21.9% in 2016; 19.7% career).... Left-handed batters hit just .214 / .315 / .302 against Roark in 2016...Among right-handed pitchers with at least 400 left-handed batters faced (essentially, all right-handed starting pitchers), Roark's .302 opponent slugging percentage led the National League, and his .214 batting average against was good for sixth... Allowed two earned runs or fewer in six of his last seven outings dating to Aug. 29...Posted a 2.16 ERA (10 ER/41.2 IP) and a .189 batting average against during this stretch...Posted a 1.13 ERA (4 ER/32.0 IP), 1.06 WHIP and a .187/.293/.252 opponent slash line from Aug. 29 - Sept. 20...Struck out a career-high 15 batters in 7.0 innings of two-hit, shutout ball vs. MIN on April 23... His 15 strikeouts were, at the time, the most in a game by a Nationals pitcher this season (now second behind RHP Max Scherzer's 20) and the third-most (now fourth) in a game in Nationals history (2005-pres. )...Made his first Postseason start in Game 2 of the NLDS. Began the season in the bullpen, but ultimately made 12 starts...Went 1-3 with one save, four holds and a 3.74 ERA (19 ER/45.2 IP) as a reliever... Offered scoreless relief in 17 of his 28 appearances...Went 3-4 with a 4.82 ERA (35 ER/65.1 IP) in 12 starts across two stints in the rotation...ERA severely impacted by eight earned runs allowed, June 28 at PHI...Made his first start of the season on May 25 at Chicago, replacing injured RHP Doug Fister...Converted his first career save, May 4 vs. MIA...Returned to the rotation on Sept. 4 to take the spot of RHP Joe Ross...In his best start of the season, tossed a season-high 7.0 innings, allowing one earned run on six hits in Washington's 16-4 win at Tampa Bay, June 16. Built on successful 2013 to turn in a true breakout campaign in 2014...Went 15-10 with a 2.85 ERA in 31 starts...Ranked among National League pitchers in opponents OPS (5th, .632), OBP (7th, .281), wins (T8th, 15), WHIP (8th, 1.09), baserunners per nine innings (8th, 10.10) and walks per nine innings (8th, 1.77)...His eight road wins tied RHP Doug Fister for the team lead...Turned in his first career shutout, April 25 vs. SDP (9.0 IP, 3 H, BB, 8 SO)...Fanned a career-high 11 batters, June 6 at SDP (8.0 IP, 3 H, 11 SO)...Worked 7.0 scoreless innings to pocket the win in Washington's NL East championship-clinching 3-0 victory on Sept. 16 at Atlanta...Worked out of the bullpen in the 2014 NLDS vs. San Francisco Giants (0-1, 3.38 ERA) for his first Postseason exposure...Pitched better in the season's second "half" (7-4, 2.65 ERA, 13 GS) than before the All-star break (8-6, 3.01 ERA, 18 GS). 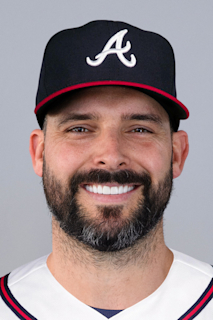 Joined the Nationals late, but earned glowing reviews, finishing 7-1 with 1.51 ERA in 14/5 G/GS...started 7-0 and became the first/only National to win first 7 decisions in a single season...allowed only one home run (Carlos Beltran, 2-run shot, Sept. 23 at Busch Stadium) in 53.2 big league innings...spun 2.0 scorless innings in MLB debut on Aug. 7 vs. ATL...first strikeout victim was Jeff Francoeur (Aug. 13 vs. SFG)... 7 of 9 relief appearances with the Nationals lasted at least 2.0 ininngs...worked a season-high 4.2 scoreless innings and was rewarded with the win in Washington's come-from-behind 11-10 win on Aug. 23 at Kauffman Stadium...made first big league start on Sept. 7 at MIA and earned the win thanks to 6.0 scoreless innings...did not allow an earned run and spun at least 6.0 innings in 3 of 5 starts for Washington...went 9-3 with 4 holds, 2 saves and 3.15 ERA in 33 games/11 starts with Syracuse...led the International League in WHIP (0.99). Pitching for Syracuse, posted career highs with 130 strikeouts and 147.2 innings in first Triple-A exposure...The 130 K's ranked third among Nation- als farmhands and fourth in the International League...Was named International League Pitcher of the Week for the period ending July 30 (2-0, 1.29 ERA, 2 starts). Won nine games for Double-A Harrisburg in first complete season in Washington's system...Went 2-0 with a 1.88 ERA in a pair of starts and was named Eastern League Pitcher of the Week for the period ending Aug. 1. Posted 11 wins for a second straight season, pitching for Harrisburg and Frisco of the Double-A Texas League...Notched a 2.50 ERA in six starts for the Senators after being acquired by the Nationals at the non-waiver trade deadline. Combined to go 11-1 with a 3.02 ERA in 34 games/13 starts for Frisco and Bakersfield of the Single-A California League. Pitched primarily out of the bullpen in first pro campaign, posting a 2.76 ERA for Bakersfield and the Rangers' Rookie-level Arizona Summer League affiliate...Notched only career save, Aug. 18 at Stockton. December 12, 2018 Washington Nationals traded RHP Tanner Roark to Cincinnati Reds for RHP Tanner Rainey. September 4, 2015 Washington Nationals recalled RHP Tanner Roark from Harrisburg Senators. August 31, 2015 RHP Tanner Roark assigned to Harrisburg Senators from Potomac Nationals. August 25, 2015 Washington Nationals optioned RHP Tanner Roark to Potomac Nationals. June 21, 2015 Tanner Roark roster status changed by Washington Nationals. June 19, 2015 Washington Nationals placed RHP Tanner Roark on the paternity list. August 6, 2013 Washington Nationals selected the contract of RHP Tanner Roark from Syracuse Chiefs. January 15, 2013 Washington Nationals invited non-roster RHP Tanner Roark to spring training. October 11, 2012 RHP Tanner Roark assigned to Bravos de Margarita. August 20, 2012 Tanner Roark roster status changed by Syracuse Chiefs. August 17, 2012 Syracuse Chiefs placed RHP Tanner Roark on the temporarily inactive list. April 4, 2012 RHP Tanner Roark assigned to Syracuse Chiefs from Harrisburg Senators. December 9, 2011 RHP Tanner Roark assigned to Cardenales de Lara. July 8, 2011 Harrisburg Senators activated RHP Tanner Roark from the temporarily inactive list. July 6, 2011 Harrisburg Senators placed RHP Tanner Roark on the temporarily inactive list. May 14, 2011 RHP Tanner Roark assigned to Harrisburg Senators. August 6, 2010 Harrisburg Senators activated RHP Tanner Roark. April 7, 2010 Tanner Roark assigned to Frisco RoughRiders from Bakersfield Blaze. April 1, 2010 RHP Tanner Roark assigned to Texas Rangers. July 2, 2009 Tanner Roark assigned to Bakersfield Blaze from Frisco RoughRiders. June 10, 2009 Tanner Roark assigned to Frisco RoughRiders from Bakersfield Blaze.